Brenda Nease has been a familiar face at Winship over the past 10 years, fulfilling roles as a volunteer, philanthropist, and friend to many. She returned to the Winship Advisory Board this year for her third term, and she is an active member of Friends of Winship. Nease is perhaps most often recognized around Winship as the woman playing the piano in the lobby on Thursday afternoons, the music she provides for patients and their caregivers illustrating the depth of her passion for improving the lives of those battling cancer. 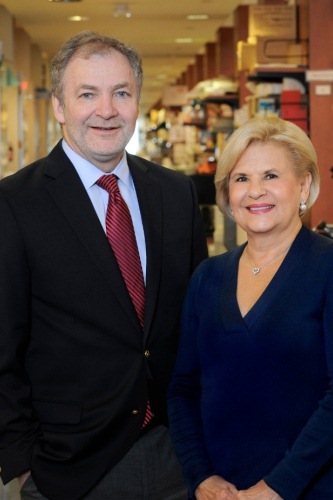 Last year, Nease expanded her longtime commitment to Winship with a pledge of $1 million to establish the Brenda Nease Breast Cancer Research Fund within the Glenn Family Breast Center at Winship Cancer Institute. The fund will support projects that touch all areas of breast cancer research, including prevention, early detection, clinical trials, and improving the efficacy of existing treatments. "The ultimate hope for this fund is to find a cure for breast cancer," Nease said. "That's truly what it's for." "With one in eight women in the United States facing a breast cancer diagnosis, breast cancer research funding could not be more critical," said Winship Executive Director Walter J. Curran, Jr. "I am deeply appreciative of Brenda's support. To invest in research is to share our impatience with what we don't yet know and our vision of the promise of what lies ahead. Brenda's optimism and encouragement inspires. Though research can be slow in real time, in the big picture there has been extraordinary progress, thanks in part to philanthropists like Brenda." Nease was diagnosed with breast cancer in 1999, and after seeking a second opinion from an oncologist at Winship, she knew where she wanted to be treated. "So many positive things go on at Winship," she said. "I received wonderful care, had wonderful doctors, and I am grateful that I can continue to be involved with Winship today." Following her successful treatment and remission, Nease joined the Winship Advisory Board, where she learned more about the scope of the research taking place at Emory. 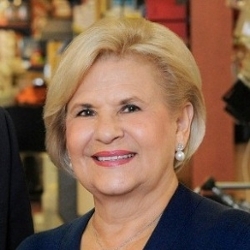 She became a strong advocate for Winship in the community, and, with gifts from friends and her own family, she established the Brenda Nease Fund to support special projects at Winship. "My life changed in a second with the diagnosis of breast cancer," Nease said. "I feel fortunate to have survived, and I wanted to make sure others had the same opportunity I did." Through the Brenda Nease Fund, Nease has supported a diverse range of projects over the years, each contributing to her goal of creating a more positive environment for patients. The fund provided a baby grand piano for the Winship lobby, allowing Nease and her fellow volunteers to fill the waiting area with music. The fund also commissioned a new painting for Winship's second-floor waiting room as part of the Healing Arts Program, which recognizes the value of art to promoting hope and healing in patients. In 2012, gifts from the fund helped establish an annual melanoma symposium at Winship in honor of Dr. David H. Lawson, Nease's oncologist during her treatment. Nease and her husband, Mac Nease, also made a gift to renovate the Emory University Hospital 6E family waiting room in memory of his sister, Marsha Jane Nease, an Emory alumna who passed away from cancer in 1988. "Brenda's compassion and special attention to the patient and family journey at Winship has touched all of us," said Curran. Nease's decision to establish the Brenda Nease Breast Cancer Research Fund is rooted in the same desire to help others as her earlier gifts and volunteer service. She said that she is thankful to be able to make such a meaningful gift, and she hopes that the new research fund will further aid patients by making significant gains toward earlier diagnosis, better treatment, and finding a cure. Nease admits that since her own battle with breast cancer, she does not take a single day or hour for granted, and she has spent many of those precious hours helping to enhance the lives of cancer patients and their families. "This fund is not about me," she said, the true purpose of her philanthropy never far from her mind. "It's about the people who will benefit. It's about the desire to help others in the same situation I was in after my diagnosis. If I can improve any part of this experience for patients, that is my calling." In recognition of her many gifts of time, talent and philanthropy, Brenda has been named the Honorary Chair of the 2016 Winship Gala. Article originally published in The Winship Donor Spring/Summer 2015 newsletter.